What are the “weeds” in your life? The unwanted and inferior components that are strangling the parts of your life which are longing to flourish. The stuff that simply needs to go. People, places, habits, thoughts. How clear are you on what could be dug up and thrown out so that the most desirable parts can grow beautifully? Weeds are diligent so it’s best for you to be diligent, too. Pulling weeds is part of life and can actually be fun. Think of the satisfaction when the ground is clear and you can plant the things you love. 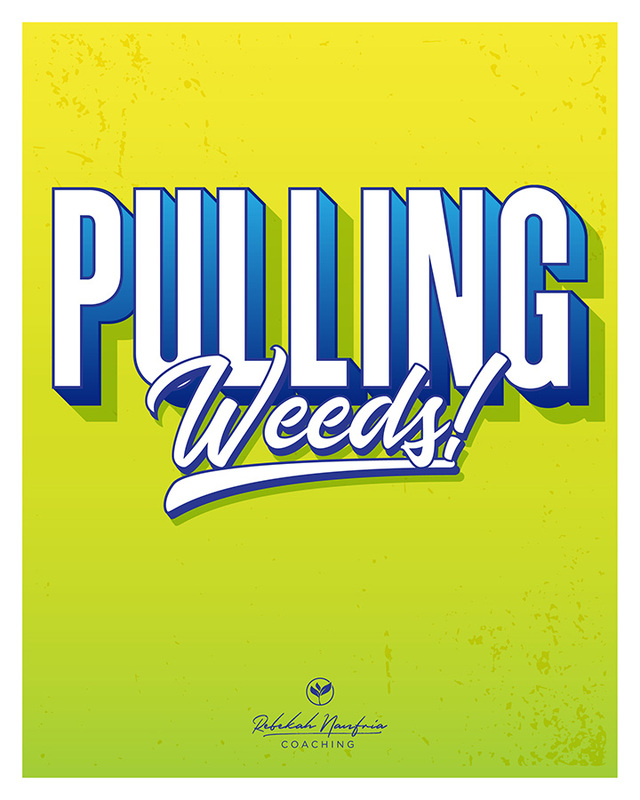 Are you struggling to identify your weeds or the ways to get rid of them? Let’s talk!